Regardless of political persuasions, the economic environment, or the latest weather conditions; Sports Unite Us! Whether you are a Fan or an Athlete, the passion for sports is Contagious and Inspiring. Nothing matches the sensation of having your team win, and nothing matches the exhilaration of working to succeed and being the first to cross the finish line. The Empire State Sports Council has successfully brought back such the excitement, and continues to lead the way into the next generation of the State Games, and forge a new future for competition-minded athletes and competition-minded audiences throughout the Empire State! The Empire State Sports Council is a Non Profit organization designed to reach the entire State of New York and beyond with an understanding that we offer Sports for Everyone, and Sports for Life. It is our mission to provide the best programs, events, staff, and equipment, to fully meet the various sports, recreation, nutrition, and health & fitness education needs of the Athletes, Parents, and Coaches of the Empire State. With an emphasis on programs to reach Youth, Master’s (Senior Citizens), and the Physically Challenged, the Empire State Sports Council is prepared to meet the needs of all athletes of any age, gender, or skill level. Besides providing an excellent value to each of these folks, the Empire State Sports Council is determined to create an unparalleled sporting experience that fosters good sportsmanship, honest competition, and healthy habits for each participant, whether from a club, school, church, or any other organization. Our hope is that through participation in our programs and events, each individual will gain a greater sense of accomplishment, and develop a greater appreciation for the world of sports, recreation, nutrition, fitness, and health education, that will last a lifetime. Become an ES Sports Member! 1. For only $3 per month ($36 per year) you can get discounts and benefits all year long, and save more than 10 times you’re the investment of your ES Sports Membership. 2. For even greater savings, invest in a Family Membership for only $5 per month ($60 per year), and you can include up to four (4) members of your household. 3. 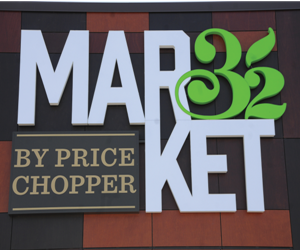 If you own a business, we even offer Corporate Memberships (Level I – $250 per year; Level II – $100 per year), and that includes a few additional advertising benefits. Regardless of which Membership you choose, you will most certainly be a WINNER! ¨ 50% Discount on all entrance fees (gate fees) to all ES Sports events throughout the year. ¨ 50% Discount on your 1st Liberty Games Sportswear item purchased, and 20% Discount on all additional Sports Apparel orders. 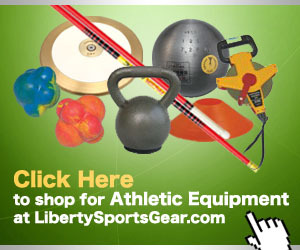 ¨ 10% Discount on all Liberty Sports Gear Equipment offered @ www.LibertySportsGear.com. ¨ 10% Discount on all Sports Zone or Fan Zone purchases in store, throughout the Northeast. ¨ FREE monthly newsletter “Bring Your Game“. ¨ 10% Discount on registration fees to all ES Sports events, ie. Stars & Stripes 5k Run, Liberty Tour Track & Field meets, The Liberty Games, etc. ¨ Access to our Members Only section at selected events. ¨ Up to 50% off all Rising Stars Sports Training Clinics. Eligible for an annual Grand Prize drawing, to be announced yearly at The Liberty Games. ¨ Level I ($250) – Receives four (4) ES Sports Membership Cards for Owners, Staff, or Employees, along with six (6) months of Advertising on our Website, and occasional “Shout Outs” on FB. ¨ Level II ($100) – Receives two (2) ES Sports Membership Cards for Owners, Staff, or Employees, along with two (2) months of Advertising on our Website, and one (1) “Shout Out” on FB. Please fill out this form to begin your savings. *NOTE* Athletes DO NOT need to fill out this form. Your membership is activated with a paid Liberty Games Event Registration. Single members fill out line one only. List up to 3 additional members to be part of your family membership. All members must be part of the same household. All correspondence will go to the first person listed. Please tell us what particular sport is dear to your heart. We'd like to be able to keep you posted on any news that occurs. Check here to sign up for ES Sport's Bring Your Game newsletter.